i Click 'view all' to instantly compare this ok deal with offers on other top hair dryers. 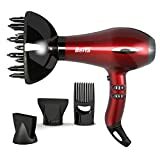 Professional Ionic Hair Dryer Powerful Ceramic Blow Dryer Quiet is currently selling at $85.92, which is its normal price. It has a lowest price of $53.99 and is selling within its usual range. Price volatility is 2.97% (meaning it does not change often), so you might have to wait a while for the price to drop. Until then this is a recommended 'ok deal'. 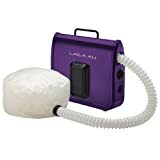 Compare the current price, savings (in dollars & percent) and Buy Ratings for the top Hair Dryers that are closely related to Professional Ionic Hair Dryer Powerful Ceramic Blow Dryer Quiet. Here is how Professional Ionic Hair Dryer Powerful Ceramic Blow Dryer Quiet compares with other leading Hair Dryers. This hairdryer has all of the features you need to create stunning results without static and with loads of natural shine. 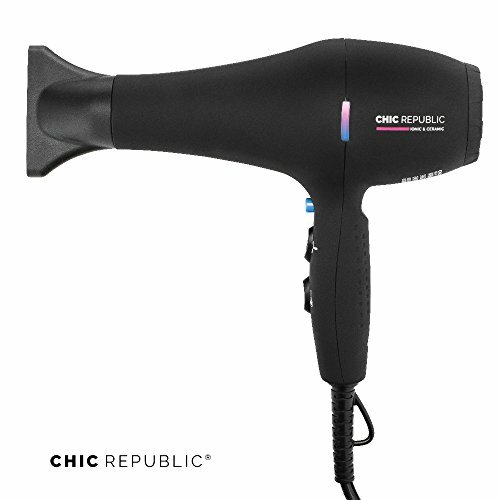 Unlike other hair dryers on the market, CHIC REPUBLIC's features a heat indicator light that allows you to see when the airflow is hot or cool. The blue light cool shot helps to seal your cuticles, giving your hair a finished look with loads of shine. Designed to deliver a fast and efficient dry with high velocity airflow that doesn't damage your hair, CHIC REPUBLIC's hair dryer is different from the rest. Using state of the art technology, it provides you with two unique diffuser nozzles so that you can style, straighten, and dry your hair to perfection. 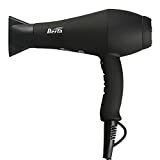 Its compact, lightweight design makes it the perfect hair dryer to take with you for travel or work, easily fitting into carry-on bags, suitcases, and even purses! Trusted by professionals, its soft touch body and sleek design make it comfortable to use too, even when drying long, thick hair.